Pam and Steve Morrison of Steve Morrison Farm in Bradley County, Tennessee, out of Pilgrim’s Chattanooga Complex, are recognized for their steadfast work ethic, attention to detail and selfless community spirit. The Hawkins Farm has been in the family since 1872. The farm has since been split between various Hawkins family members who still live on and work the land. Pam and Steve Morrison purchased their 70 acres from Pam’s grandparents, Harold and Alethia Hawkins in 1975, and they built their first chicken house in 1976. Pam Morrison grew up around chicken farms. Pam’s parents, Frank and Nellie Hawkins, own the other 50 acres of the original farm, on which they built chicken houses in 1972. Prior to that, her parents worked on other people’s chicken farms. The poultry business has always been Pam’s life. “I’ve always been around chicken houses and I helped when I was a kid. I’ve always lived on the farm and when we married that’s what Steve wanted to do, he thought it was wonderful to live on a farm; he didn’t grow up on a farm,” remembers Pam Morrison. The Morrisons now have two chicken houses, each 40×400 feet. They built the second house in 1979 and have continued to upgrade as new technology and regulations have changed poultry farming. They grow six flocks of broiler chickens with approximately 23,500 chickens per year in each house. That’s over 282,000 birds per year that the Morrisons contribute to America’s food supply. The Morrisons also run 37 head of cattle, put up hay for their livestock, and have six horses to entertain the grandkids. 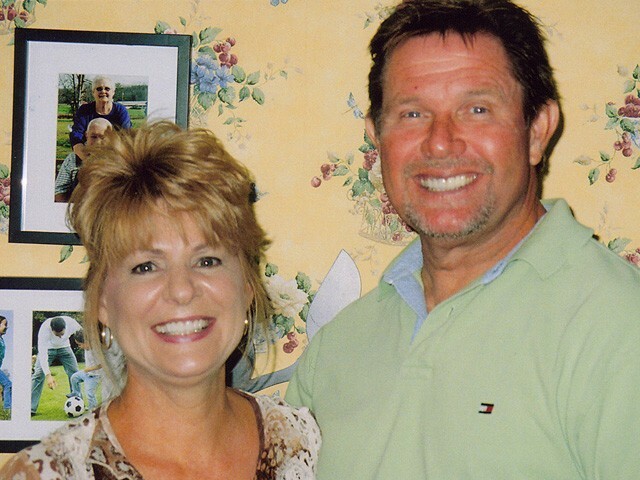 Pam Hawkins and Steve Morrison grew up attending the same schools and married in the early 1970s. They raised two children, Sherry and Shane, on the farm. Their children’s families now live on either side of the Morrison farm. Steve was away from home, driving a truck for many years, while Pam and the children ran the poultry farm. Having retired three years ago, Steve is now the primary poultry farmer, though they all still work together. He goes out to the chicken houses multiple times a day to ensure his flock is well. Even when he’s in his house, he regularly monitors the computer to see how the chickens are doing. Where once Sherry and Shane learned the craft of farming at their mother’s side, the grandchildren, Blake (14), Langlee (10) and Eli (8) are now apprentices to their grandfather, Steve. The Morrisons believe that farm life teaches children valuable lessons. One of the primary challenges of their poultry farm was to pay off their houses. A house, when they built them in the 1970s cost about $50,000. Other challenges have been largely eliminated by updated technology. For instance, they used to work hard to keep the chickens cool in the summer time with only windows and fans in the Tennessee heat. There was a lot of guesswork involved in creating the prime atmosphere for the chickens, which enabled them to grow well and allowed them to fetch a good market price. Since then the Morrisons have installed a cooling system and the chicken houses are computerized, allowing them to meticulously and efficiently control air quality, temperature and lighting conditions. Still, the Morrisons are profoundly grateful for the opportunities and lifestyle poultry farming has given them. Farming can be character building, which is something that Beekman has come to admire in the Morrisons. Now that he’s retired from trucking, Steve is finally living his dream. “Every day he’ll say, ‘this is what I’ve always wanted to do – stay home and be a farmer.’ We just feel very blessed by God that we get to be chicken farmers,” says Pam.